Robotics technology brings several benefits for both patients and surgeons. It allows for precise and real-time movement of the instruments and unparalleled view of the area under surgery. Each instrument in the system performs a certain task – clamping, cutting, dissecting, and suturing. The robot offers multiple advantages such as reduction of post-operative pain, shortened hospital stays, earlier patient mobility and faster recovery. The robotic surgery market has been making great waves since the 1980s. This growth is attributed to the growing demand for automation in the healthcare industry, the greater focus towards advanced robotic surgeries, the rising incidence rates of gynecological, neurological and other disorders, and the benefits offered by robots in surgeries. As per the report by Allied Market Research, the global surgical robotics market is likely to reach $98,737.0 million by 2024, growing at a CAGR of 8.5% from 2017 to 2024. Several companies in the space are looking at innovation to improve surgical efficiency and extend their penetration in the market. In June 2018, Restoration Robotics, Inc., a leading robotic hair restoration company launched the education Master Class Series for its ARTAS Robotic Hair Restoration System which allows physicians to provide exceptional results to male aesthetic patients. In April 2018, the Vanderbilt University Medical Center, a medical provider based in Nashville, Tennessee added a new tool to its collection of minimally invasive procedures to offer patients the most advanced robotic-assisted surgical procedures. In January 2018, Henry Ford Allegiance Health, a Jackson-based medical center announced its introduction of the ExcelciusGPS surgical system that provides minimally invasive spine surgery to patients. Restoration Robotics, Inc. recently introduced a continuing education Master Class Series for its ARTAS Robotic Hair Restoration System with the aim of educating physicians on best practices and the recent techniques for this cutting-edge technology. The Master Class Series helps them provide great results to male aesthetic patients. 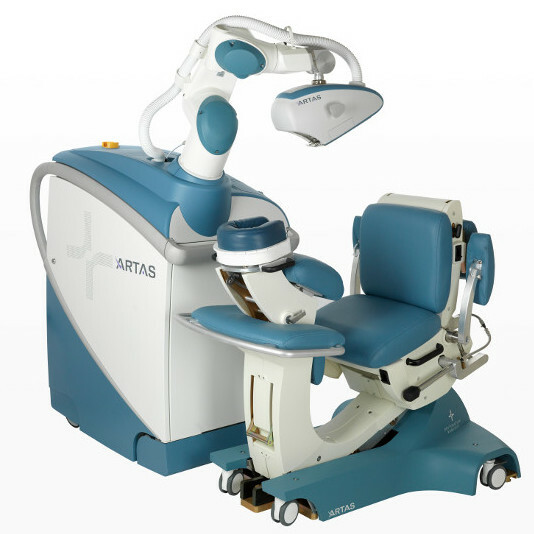 The ARTAS Hair Transplant System is the first robotic system in the world designed to help surgeons in hair restoration techniques. According to Ryan Rhodes, President, and CEO of Restoration Robotics, the Master Class Series is designed to support and advance their physicians’ knowledge in using the ARTAS Robotic System and improving the patient experience. With the aim of offering the most advanced robotic-assisted surgical procedures to patients, Vanderbilt University Medical Center added a new product to its collection of minimally invasive techniques. Thoracic surgery is the latest specialty at the medical center to adopt the latest version of the robot – the da Vinci Xi which allows surgeons to carry out complex procedures using a few small incisions. Henry Ford Allegiance Health announced that it’s the first in Michigan to offer patients the ExcelciusGPS surgical system. Offering minimally invasive spine surgery, the technology fosters increased safety for patients and accuracy for surgeons. The incorporation of a GPS 3-D guidance system in the system improves accuracy and optimizes patient care by integrating robotics with navigation. The technology enables a neurosurgeon to place screws and implants precisely while seeing exactly where to place instruments in real-time. The ExcelciusGPS allows for safer, more consistent, and smaller incisions, leading to better healing and lessen scarring. “Robot-assisted surgery is a new, emerging area that will become the standard in care,” says Dr. Frank La Marca, a Henry Ford Allegiance Health neurosurgeon. “We are excited to offer our patients the advantages of the Excelcius system, which allows us to perform minimally invasive procedures which may result in less blood loss, less muscle damage, and a potentially faster recovery,” he added.